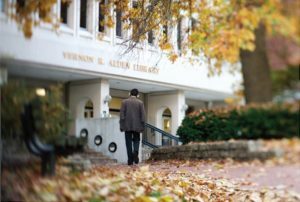 "Author's Chair" is made possible in part with funding from Ohio University Libraries. Series begins with the Fall Kick-Off broadcast, Tuesday, September 11 at 8:00 p.m.
It’s time to vote for your favorites - and here’s how! First Voting Period: Begins May 22, 2018 at 8pm ET and runs until October 18, 2018 at midnight PT. 1. Online Voting. 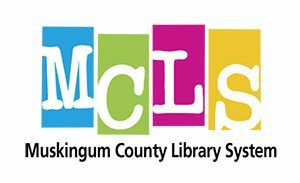 Vote online on The Great American Read website voting page, using either a valid email address or a Facebook login (“Online Voting”). Limit one (1) vote per email address via Online Voting per book per day, and one (1) vote per Facebook ID via Online Voting per book per day. 2. Facebook Hashtag Voting; Twitter Hashtag Voting. Vote by posting an original post to Facebook using the official hashtag for your favorite book (“Facebook Hashtag Voting”), or posting an original post to Twitter using the official hashtag for your favorite book (“Twitter Hashtag Voting”). The hashtags for each book can be found on the individual book pages in the READ THE LIST section. Notes: To vote on Twitter, your privacy settings must be set to Public. Votes cast within comments on Facebook will not be counted. Limit one (1) vote per Facebook ID via Facebook Hashtag Voting per book per day, and one (1) vote per Twitter account via Twitter Hashtag Voting per book per day. WOUB's presentation of The Great American Read is sponsored locally by The Hocking Valley Bank and Ohio Health. Carpet One Floor and Moore, The Little Professor Bookstore (a local independent book seller) and David White Services are partners with WOUB and The Great American Read. PBS today unveiled a list of America’s 100 best-loved novels, chosen in support of THE GREAT AMERICAN READ, a new PBS series and multi-platform initiative that celebrates the joy of reading and the books we love. THE GREAT AMERICAN READ, hosted by television personality and journalist Meredith Vieira, launches with a two-hour episode on Tuesday, May 22, 2018, at 8 p.m. on PBS stations and will introduce viewers to the full list of America’s 100 favorite novels selected through a demographically representative national survey conducted by YouGov. The series will also feature interviews with celebrities, authors, superfans and everyday Americans discussing the way particular books have influenced them and their significance in American popular culture. Then, after a multi-platform initiative throughout the summer, which will include live public events, social media components and national reading clubs, the series will resume in the fall with several themed episodes, including an exciting finale, culminating in the first-ever national vote to choose “America’s Best-Loved Novel.” It will be the most expansive national celebration of books and reading aimed at engaging multi-generational readers across multiple platforms ever created. Voting will open with the launch of the two-hour premiere episode on May 22 and continue throughout the summer, leading up to the grand finale in October 2018. 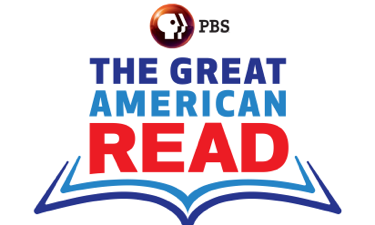 Over the summer, viewers will be able to vote at pbs.org/greatamericanread and through hashtag voting via Facebook and Twitter using #GreatReadPBS. In the fall, viewers will also be able to cast their vote toll-free by phone and through SMS texting. THE GREAT AMERICAN READ is supported by an extensive multi-platform digital and social media campaign designed to inspire Americans to read, vote and share their personal connections to titles on the top 100 list and beyond over the course of the summer. This includes an interactive website, links to local events, interactive video content, social share features and much more. As part of the experience, PBS Digital Studios will develop and produce unique programming across its award-winning YouTube Channels and an original miniseries on Facebook Watch. PBS Digital Studios hosts will collaborate with authors, booktubers and other creators to bring PBS’ legacy of championing literacy to Digital platforms. PBS Digital Studios’ Facebook Watch series is inspired by THE GREAT AMERICAN READ and features six video essays covering broad book-related topics in a highly shareable and engaging way. In addition to the digital and social campaigns, THE GREAT AMERICAN READ has sparked nationwide community engagement efforts that will offer stations opportunities to create complementary content; stage community events; partner with libraries, booksellers, charitable organizations, schools, and other entities; and deepen the conversations and connections among people around the country. More than 100 stations are activating around the project, with stations such as Detroit Public Television, Nashville Public Television, WLIW in New York, WETA in Washington, DC, and WUCF in Orlando leading the charge. Detroit’s literary social media series, “PBS Books,” is broadening the reach of some of the nation’s biggest book festivals in support of THE GREAT AMERICAN READ. Nashville and WUCF are leveraging their already robust community partnerships and sharing best practices throughout the system. WLIW will utilize its content-sharing platform, Wavelength, to make customizable companion programs for THE GREAT AMERICAN READ, and WETA is partnering with PBS to amplify the excitement around THE GREAT AMERICAN READ. PBS will continue to work with its stations through the fall to develop resources that will encourage, promote, and support the local initiatives that are taking root across the United States. Additionally, working with member stations and partners, PBS will develop resources and materials, including lesson plans and virtual book clubs, to encourage summer reading activities and extend the campaign into classrooms for the fall. To complement THE GREAT AMERICAN READ, over the summer PBS KIDS will also host PBS KIDS READ as part of an annual summer learning initiative for children ages 2-8 and their families, encouraging reading and related activities through a variety of resources for kids and parents. The top 100 book list released today is based on a public opinion poll, conducted by YouGov on behalf of PBS for THE GREAT AMERICAN READ, that asked respondents to name their favorite novel. An advisory panel of book industry professionals compiled the results. Each author was represented only once, and series such as the Alex Cross Mysteries were included as one entry. Below is the full list of America’s 100 favorite novels. 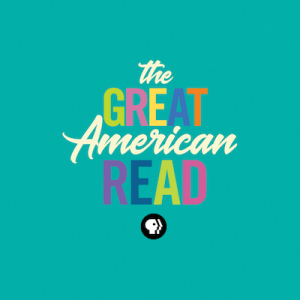 THE GREAT AMERICAN READ, a new eight-part television competition and nationwide campaign created in partnership with the production company Nutopia, explores the power of books and the joy of reading through the lens of America’s 100 best-loved novels, as voted on by the public. Kerger revealed that PBS will also partner with top literary organizations and its nearly 350 member stations nationwide to extend the reach of THE GREAT AMERICAN READ to every community. THE GREAT AMERICAN READ launches with a two-hour special event on Tuesday, May 22, 2018, at 8 p.m. on WOUB. Over the course of 15 weeks in the summer, viewers can read and vote on favorite works of fiction; the series then returns in the fall with additional episodes exploring the nominated books through themes including “Heroes,” “Villains & Monsters,” “Who Am I?,” “What We Do for Love,” “Other Worlds,” and will conclude with an exciting finale and countdown to “America’s Best-Loved Book.” The full list of 100 titles, chosen from a demographically representative national survey conducted by YouGov, will be made available to the public in late April. THE GREAT AMERICAN READ is supported by an extensive multi-platform digital and social media campaign designed to inspire Americans to read, vote and share their personal connections to titles on the top 100 list and beyond over the course of the summer. 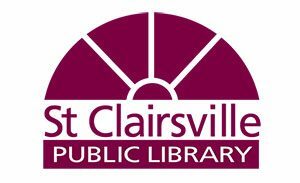 Additionally, working with member stations and partners, PBS will develop resources and materials to extend the campaign and encourage summer reading activities. Kicking off with a two-hour launch event, THE GREAT AMERICAN READ will journey across America to uncover illuminating details and new reflections, sometimes from unlikely sources, about some of the titles on the top 100 book list, revealing the story behind the story from multiple perspectives. To spark conversation about the books that have inspired, moved and shaped us, both individually and as a society, viewers will hear from a variety of sources about what the novels on the top 100 list can tell us about our diverse nation, our shared values, our cultural identities and the common themes that tie us together. • Voting will open with the launch of the two-hour premiere episode and continue throughout the summer, leading up to the Grand Finale in October 2018. Over the summer, viewers will be able to vote at pbs.org/greatamericanread and through hashtag voting via Facebook and Instagram using #GreatReadPBS. In the fall, viewers will also be able to cast their votes toll-free and by utilizing SMS voting. • An interactive website with detailed show information, links to local events, episode descriptions, interactive video content, social share features and much more will be available. • Photographs, short-form videos, animated graphics, live streams and behind-the-scenes footage will fuel social media integration of THE GREAT AMERICAN READ to encourage reading, conversation and voting.